Making the Bantam A boys hockey team as a girl is a mixed bag of nuts – literally. As one of two girls on a team of 13 to 15-year-old boys, the learning curve for my daughter off and on the ice was a big one. 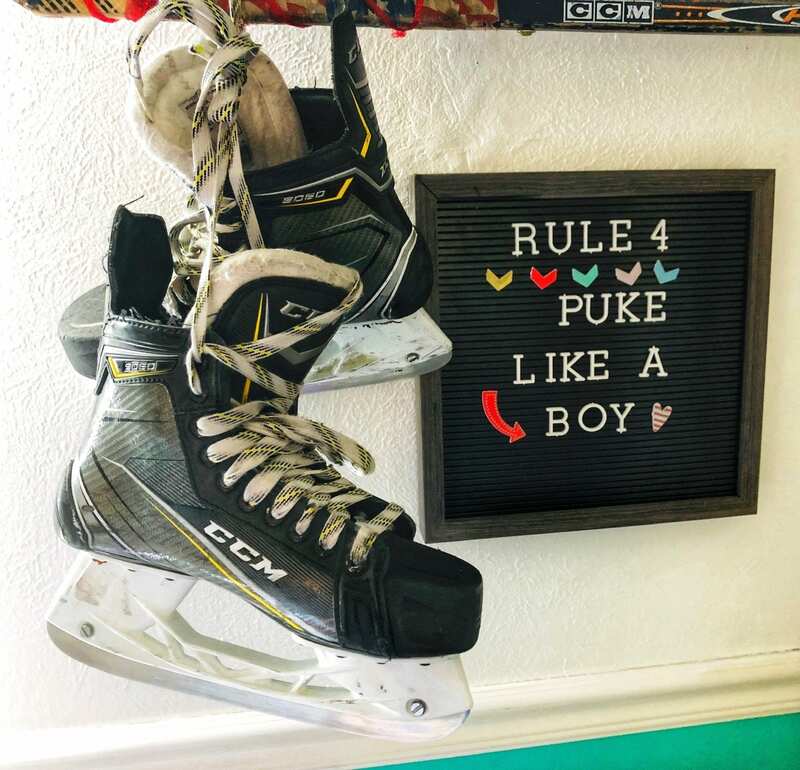 A few parents and hockey people had some opinions about letting my girl play with the boys once they hit high school age and honestly, I had a few reservations myself. However, my daughter convinced me that all would be fine. #1. Boys can go from jerks to utter kindness in a matter of seconds… and their kindness can be constant and magical. #2. Boys giggle just as much as girls. #3. Boys cry more than girls and that is refreshing. #4. When you tap out of a practice drill with a stomach bug that is going through your school, your coaches awkwardly and gently ask if it’s “lady-business”? And you amusingly think, “Can’t I just puke like a boy”? #5. The team does not like you in the separate “girls” locker room. They ask you to please join them for the rest of the season. They promise to be as respectful as they can be – and they never waiver on this. #6. When you make a good play, instead of talking to a girl directly they will excitedly pat you on the back like a grandpa. #7. And no matter what… don’t ever eat bananas in the high school hockey locker room. Boy or girl player, it does not matter, eat a banana and see what happens. Sure, there were some tough as heck moments for my kid. Moments of hard teasing and hurt, but for every one of these moments there were a dozen moments of kindness and admiration. It is rare for high school aged boys and girls to play together on higher level teams, but when they do it can be pretty amazing. They have a way of learning about the toughness and gentleness of each other. This mutual respect they will carry through life far away from the cold ice rinks of their youth – to colleges, workplaces, legislatures, relationships, parenting. I have no idea if my daughter will continue to play with the boys or move to the strong high-school girls’ team we have in our town. I will let her decide this on her own time, but for now we are saying goodbye to a season and a team that rose up to all the players… boys… girls… and it was magical. Want to share your own hockey story? WHL People highlights the people of Women's Hockey Life—the people living their hockey dreams around the world.